When Wali Dirie's mother was in her 50s, her doctor advised her to start going in for regular mammograms. So she went. "She asked me my thoughts and my decisions, and I encouraged her, if she doesn't want to do it we can stop," Dirie said. "Allah sent the illness, and also sent the cure," he said. "You have to know going to the doctor is part of what Allah made for us." 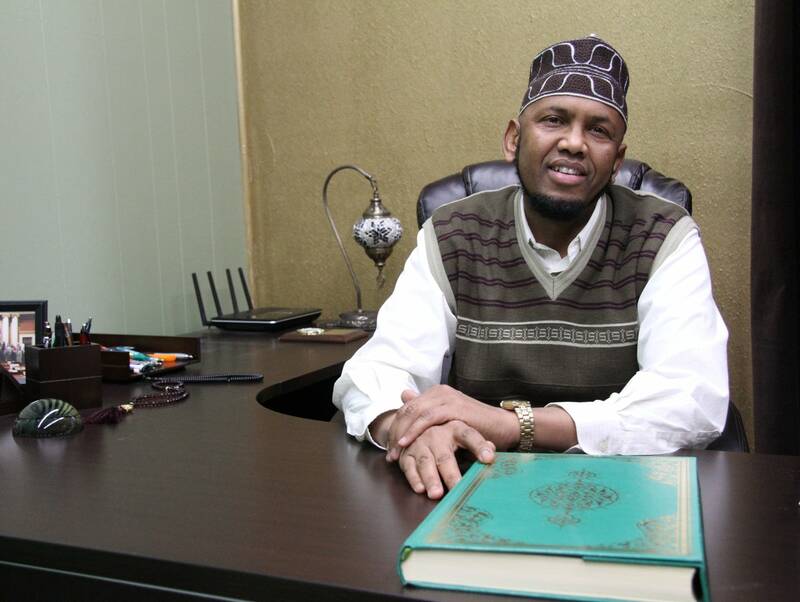 "Some Somali women, they don't participate in this screening because of maybe the modesty issue because of the faith," said Imam Sharif Mohamed. "And I think that's not right." In Somalia, like other developing countries, preventive care isn't available or isn't a priority. A cancer diagnosis carries a stigma in Somalia. Community members say people don't want to be labeled as cancer patients because that automatically means death is imminent and unavoidable. Some believe it's their destiny to become ill, and prevention would be interrupting God's plan. He's been telling mosque members that disease may be destiny, but so are treatment and early prevention. "The faith came to this world to support and help the mankind," he said. "Islam as a religion, it came here to support the wellbeing of the person. Whether it's your physical health, or emotional health, or mind body spirit." "Breast and cervical cancer stand out, they got my attention when we started doing this work," said Pratt, an assistant professor. "The rates are worryingly low and it means whatever we're doing now it's not working well enough. We're not meeting the community where they're at in terms of the questions that they have, the information that they know." A maroon-and-gold poster hangs at Dar Al-Hijrah mosque's second story prayer room. It's filled with information about the mosque and the U's research and recommendations in hopes of improving the rates. "It's not only a place that people come and pray," Mohamed said. Researchers and faith leaders have gotten preliminary results from the program that show a change in attitude about cancer screening. They're also seeking additional funding from the National Institutes of Health to conduct data analysis. It will take time before they're able to conclude whether a program like this makes a difference in cancer screening rates in the Somali community. In the meantime, Pratt said, the community appreciates incorporating faith and cultural aspects in the conversations. One man said that, before participating in the program, he was under the impression a cancer screening was something that "implanted cancer in you," she said. "I don't think he's alone in thinking it," Pratt said. "It's a big leap of faith if your main model of attending the doctor is I go when I have symptoms." "Maybe if you've seen a lot of patients that do have a lot of knowledge, maybe you forget to go back a step. This might be the first time someone has heard about cancer screening at all," she said. "Working in the context of the mosque might be the best way to do that."